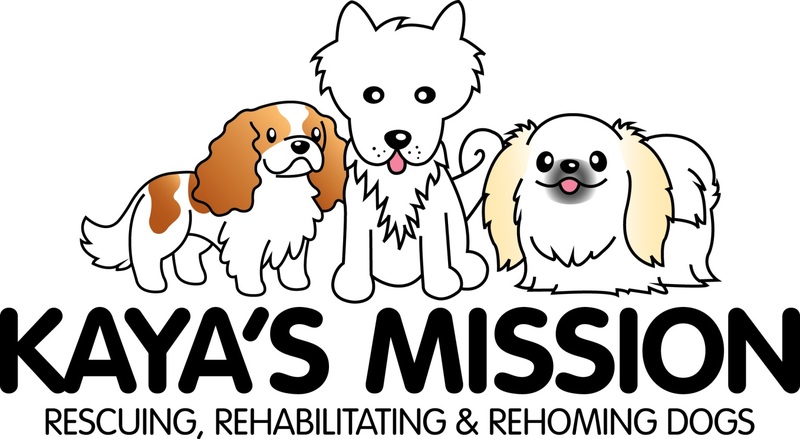 Kaya’s Mission is a registered charity (non for profit organisation) with the primary aim to rehouse dogs from breeding establishments. Our objective is to take these dogs into our home for however long it takes to socialise and regain trust before searching for a suitable, loving and stable home for them. At times this can be a lengthy and costly process for us as these little dogs in most cases will require de-sexing, vaccinating, microchipping and any other problems cared for before they are rehoused. This is why we fundraise or ask for donations. We are always searching for wonderful homes or foster carers for short term placements. Let’s make it possible for these little dogs to become somebody’s pet! Cute huh..... What’s not so cute is the reason that Rose and Hugo find themselves in our care. Rose is a 4 year old Cavalier from a puppy farm and Hugo is one of her babies from her most recent litter. Hugo was developing as a normal puppy until he was vaccinated and microchipped. The following day after his Microchip was inserted he came up with a hematoma the size of a cricket ball on the chipping site. At this time blood testing confirmed Hugo was anemic and there was suspicion he had a hereditary clotting disease which would have been passed on by either his mum or dad. Given Hugo couldn’t be sold due to suspected hereditary health issues he was surrendered into our care. As soon as Rose and Hugo entered Kaya’s Mission’s care we ensured both were seen at our vets locally and both seen at the Hallam specialist Centre within 48 hours of entering our care. Hallam have immediately commenced testing for various clotting disorders and at this time we need to wait for an outcome. Essentially what this means for Hugo is that the slightest trauma could cause bleeding that could risk his life. Desex may not even be an option due to the risk this places him at, if he was able to be desexed it would require a critical care team onboard with blood transfusions in the event the surgery created more bleeding than anticipated. Something as simple as Hugo’s canine teeth coming through could have a significant impact on his health due to the slight bleeding this can cause. While we are very concerned about Rose and Hugo it is typical that females are carriers and are not symptomatic where as the males present with symptoms such as Hugo’s that impact of their life. We are pouring all the resources we can to get both Rose and Hugo through with hopefully a management plan that will see them live a relatively normal life however until testing comes back confirming what type of blood clotting disorder we are dealing with we have no idea what is possible. Rose and Hugo’s vet bills for the first 48 hours has already surpassed $1,500. Given the cost of testing for each blood disorder (most are around $300 per test) we were advised to test for the most common ones first and then work back. At this stage we estimate Rose and Hugo’s care to cost at minimum $3,000. Can you spare a few dollars to assist these two beautiful little dogs. I do hope that something can be done for these poor little dogs.The breeder and the vet that they were taken to are at fault.This should have been picked up on earlier. Please let Hugo get the diagnosis and treatment he needs. I wish this was more but I ll keep an eye on how things go and if you still need more when pay goes in next week, I m there!